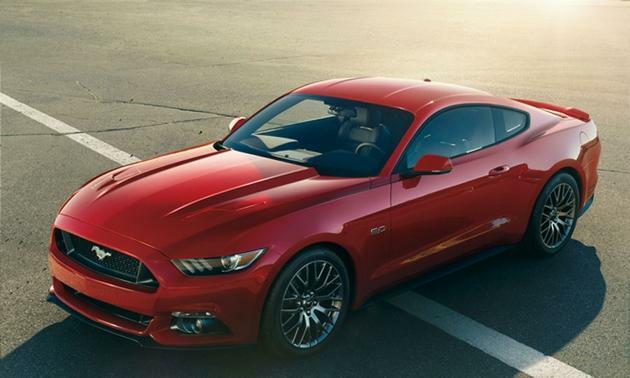 The 2015 Ford Mustang is a revamp of the 50 year old Ford pony car. For Mustang enthusiasts this car will feature some well needed upgrades including independent rear suspension and an EcoBoost 4 cylinder 300hp engine option. The new 2015 Mustang features several subtle yet significant styling changes from previous models. The deck lid is slightly lower and the track width is slightly wider. New grill, tail panel, and quarter panel styling are prominent changes. however, the signature vintage Mustang styling elements of the tri bar tail lamps and understated side scallop make the car distinctly "Mustang". Changes to the roof pillar angles create a very smooth profile and will increase rear visibility for the driver. 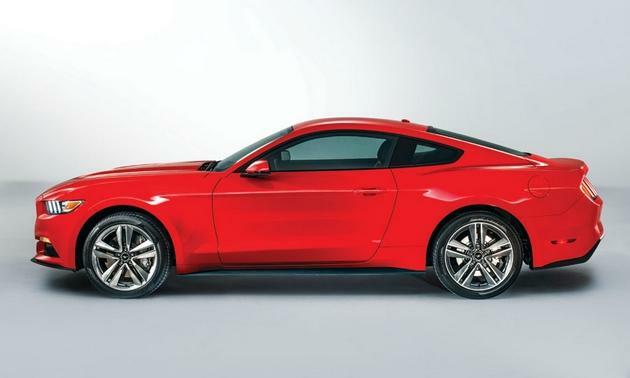 In order to save some weight the 2015 Mustang will use aluminum front fenders and hood along with a host of unpublished weight savings. It is expected the car will be 200 pounds less than the current 2014 Ford Mustang model. Most exciting is the long overdue application of an independent rear suspension (IRS) on the new Mustang. This significant change is certain to enhance the already spirited driving characteristics of the Ford Mustang. 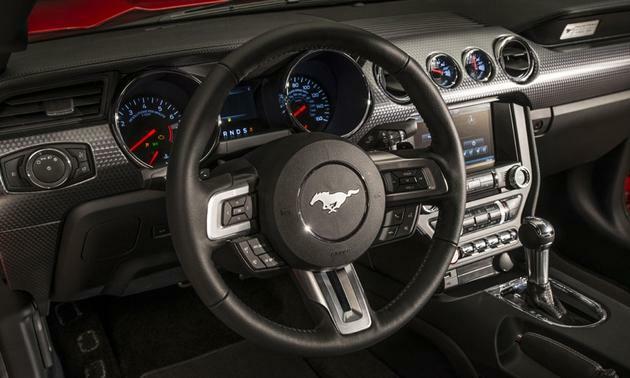 The interior features many of the styling elements reintroduced in the 2005 Ford Mustang makeover with vintage style pod dash with oversized speed and rpm gauges. The powertrains will be largely carryover from the 2014 model year with one notable exception; an EcoBoost 4 cylinder with 305 horsepower! The 2.3L four cylinder engine is well known to Ford and is in use in other models but will feature larger injectors and twin-scroll turbo. It is expected the base v6 will be the 300hp 3.7L V6 engine and it will be mated with 6 speed automatic. All automatics are expected to feature paddle shifters in 2015.